Central to all this work is privileging youth experience, family knowledge and cultural knowledge. I contend that student experience and voice offer both practical and theoretical insights on how race, culture, language, gender, class are intimately connected to the ways in which students come to participate in mathematics learning. Currently, I teach and advise students across the undergraduate, teacher education (Mathematics Education), and graduate education (Mathematics Education) programs in the College of Education. I am also an affiliate faculty of Education, Equity and Society. Ph.D. University of California, Los Angeles, Education, 2009. Division of Urban Schooling: Mathematics Education. M.A. Claremont Graduate University, Education: Secondary Mathematics Education, 2001. B.A. Occidental College, Mathematics and Politics, 1999. 2013 Henry T. Trueba Award for Research Leading to the Transformation of the Social Contexts of Education, American Educational Research Association, Collective Award: Diversity in Mathematics Education (DiME), Special Interest Group: Division G- Social Context of Education. 2000 Claremont Graduate University META Scholarship. Barajas-López, F. and Larnell, G.V. (in press). Unpacking the links between equitable teaching practices and Standards for Mathematical Practice: Equity for whom and under what conditions? Journal of Research in Mathematics Education. Barajas-López, F. and Bang, M. (2018) Towards Indigenous Making and Sharing: Implications for Mathematics Learning. Chapter in Annual Perspectives in Mathematics Education (APME): Rehumanizing Mathematics for Students who are Black, Indigenous, and/or Latin@/x. Barajas-López, F. and Bang, M. (2018). Indigenous Making and Sharing: Claywork in an Indigenous STEAM Program. Equity & Excellence in Education. Barajas-López, F. & Ishimaru, A.M. (2016). “Darles el lugar”: A Place for Nondominant Family Knowing in Educational Equity. Urban Education, June 14, 2016 doi:10.1177/0042085916652179. Ishimaru, A., Barajas-López, F. & Bang, M. (2015). Centering Family Knowledge to Develop Children’s Empowered Mathematics Identities. Journal of Family Diversity in Education. Barajas-López, F. & Aguirre, J.M. (2015) Fostering English language learner perseverance in mathematical problem-solving in high school. In L. de Oliviera, A. Bright & H. Hansen-Thomas (Eds. ), Common Core State Standards in Mathematics for English Language Learners: High School. New York: TESOL International Press. Barajas-López, F. (2014) Mexican Immigrant Students’ Schooling Experiences and the Construction of Disengagement in Mathematics Learning Contexts. Journal of Latinos in Education. Rahn, M., Butler, M., Barajas-López, F., et al,. (2010) California Mathematics & Science Partnership (CaMSP) Statewide Evaluation. Pasadena, CA: Public Works, Inc.
Rahn, M., Butler, M., Barajas-López, F., et al,. (2009) California Mathematics & Science Partnership (CaMSP) Statewide Evaluation. Pasadena, CA: Public Works, Inc.
Diversity in Mathematics Education (2007). Culture, race, power, and mathematics education. In F. Lester (Ed. ), The Second Handbook of Research on Mathematics Teaching and Learning (pp. 405-433). Charlotte, NC: Information Age Publishing. Barajas-López, F. and Meixi. (2018) Exploring Nature’s Mathematics to Build Indigenous Youth’s Sense of Relational Reciprocity. Paper presented at the meeting of the American Educational Research Association (AERA), New York, NY. Ishimaru, A., Barajas-López, F., Sun, M. and Anderson, E. (2017) Measures, Practices & Capacities for Racial Equity in Schools and Systems. Washington Education Research Association (WERA), Sea-tac, WA. Barajas-López, F. (2017) Inclusion of Families Into School-Based Race & Equity Teams in Co-Designing Family and Community Wellness and Educational Justice: Findings From the Family Leadership Design Collaborative. Paper presented at the meeting of the American Educational Research Association (AERA), San Antonio, TX. Bang, M. and Barajas-López, F. (2017) Toward Indigenous Making and Sharing in Making Spaces for Youth from Nondominant Communities: New Approaches for Supporting Equitable and Consequential Experiences. Paper presented at the meeting of the American Educational Research Association (AERA), San Antonio, TX. Barajas-Lopéz, F. (2016) Forum on Mexico: Self-determination and Autonomy in Mexican Indigenous Communities. Evergreen State College, Olympia, WA. Barajas-López, F. (2015) Imagining New Directions in Latino/a and Native American Mathematics Education. “Imagine the Future” Seminars. Heritage University, Yakima, WA. Barajas-López, F. (2014) Forum on Mexico: The Rise of Indigenous Autonomy in Rural Mexico. Seattle, WA. Barajas-López, F. (2013) “Por uno pagan todos [All pay the price for the misdeed of one]”. Understanding Latino/a Math Learning Identities at a Northwest HS. Presenter at the Society for Advancement of Chicanos and Native Americans in Science (SACNAS), San Antonio, TX. Barajas-López, F. (2012) Issues and Challenges of Enacting a Problem Based Learning Approach in Mathematics at a Pacific Northwest High School: Immigrant and Second Language Learners Voices and Perspectives. 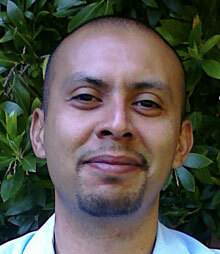 Presenter at the Society for Advancement of Chicanos and Native Americans in Science (SACNAS), Seattle, WA.